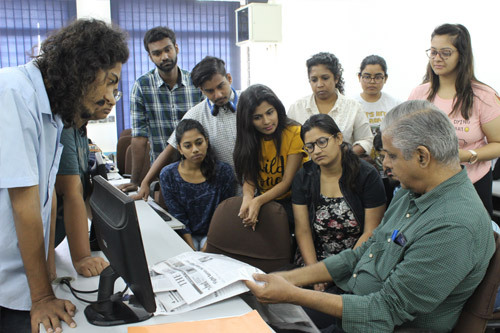 Education and training in the ACJ’s Print Media stream are designed to turn incoming students into capable journalists who, by the time they graduate, are ready to perform confidently in any newsroom. Students begin by learning to read a newspaper in its entirety (not just those sections in which they may have a personal interest), paying close attention to the content, structure, and language of different types of stories. Through lectures, classroom writing, and outside reporting assignments, they are taught to gather news and to report it in the clear, precise English required for newspaper readers. Learning to report daily news events and developing stories, Print students are taught to enhance their news-gathering and news-writing skills in an incremental manner. Their field experience is recorded using multiple tools. Text, image, audio and video inputs are packaged, after editing, and presented on the Web. A weekly student-produced News Blog documents their progress. 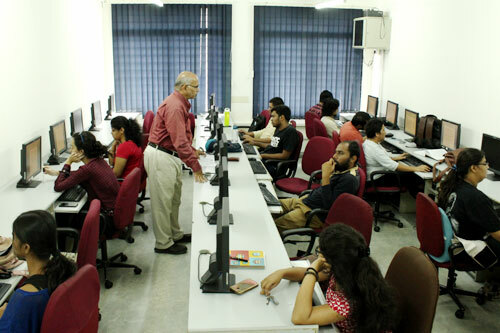 Print Students also enhance their editorial techniques for the digital era in a state-of-the art Integrated Newsroom, using the dynamic interface of an Interactive Board and multiple hubs for video, audio and text inputs. 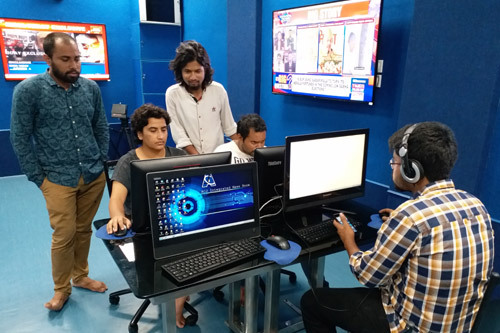 They follow the national and international news cycle to upload real-time updates, podcasts and studio discussions on print.acjnewsline.org. faculty instruct students on long-form feature writing and profile writing. The best of the student work is sometimes published in national dailies and magazines. The print newsroom labs have computers and workstations with the latest writing and production software, including QuarkXPress. With a strong internet connection, the labs provide access to news agency material including news reports and photographs, besides a host of other media websites. The ACJ library has a collection of standard reference works, including books on editing, reporting, news writing, page design and layouts. with hands-on experience in story telling using Storify and data visualisation and mapping tools like ThingLink. 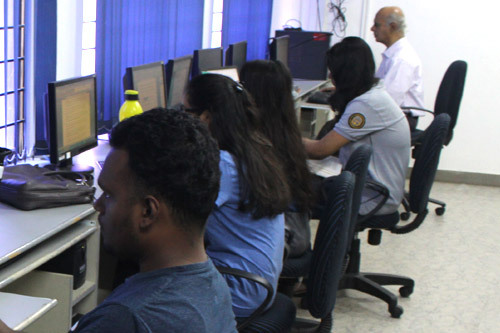 The classes also introduce the students to story structures that work online, web terminology, data analytics and data journalism as an investigative tool..